Good or bad, I always love writing and I feel pen is the best way to express my feelings, my love and my anger. My hands think faster than my mind and I start scribbling on the papers with the new ideas that pop-up my mind! I write, so I’m worth to be called as a “Writer”! 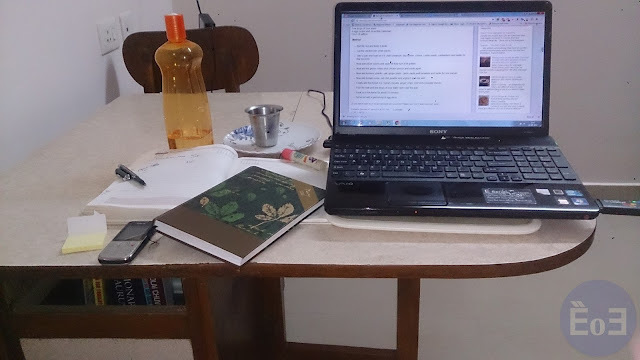 Are you one among the crowd who panic about expressing your thoughts with your writing? Does it make you shiver when you are asked to write something? Or just to hold a pen? Do you prefer the term ‘writing phobia’ to express your hatred towards writing? Well, don’t worry! If you really want to attempt writing, there are a lot of ways to develop your skills with some effort and hard work! So, can we wake up the writer in you? Get rid of your past experiences! Were you laughed at during your school days for your poor vocabulary? Did your classmates and teacher make fun of you? Do you still remember the embarrassment? Don’t worry about the bad experiences, you can start all over again! Well, Google’s new messaging app is the talk of this season! Allo is powered by Artificial intelligence which is an exciting feature of this messaging app! 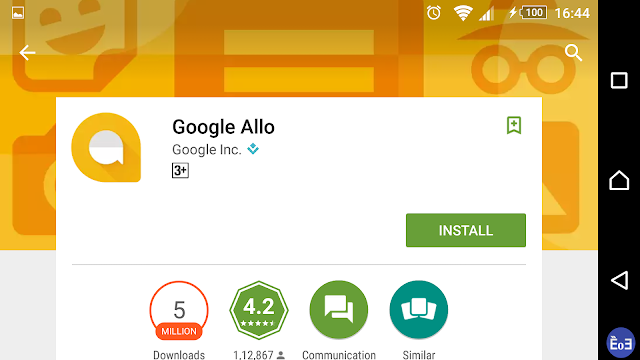 With too many messaging apps already occupy your phone’s memory, should you really try this Allo? WhatsApp, Messenger, Viber, Hike and many other messaging apps connect you to your loved ones but Allo is going to be more personalized with a new feel! You may wonder if it is a replace of Google Hangout, but it is not a replacement of Hangout but it is similar to Whatsapp but with more personalisation! The end-to-end encryption, exciting sticker patches, voice messages and the Google Assistant will surely grab the attention of everyone! How Google Assistant is going to help you? Top 15 Freelancing websites - Taking you close to the world of online job opportunities! It’s been 3 years since I started working from home! When I say ‘I work from home’, people ask me if I get paid! Will anyone work for free? Where there is a will there is a way! Getting into freelancing is not simple, you must have the passion and keep trying till you succeed! Freelancing is suitable for all those who want to get rid of their laziness and learn something new every day! The work involves patience, hard work, dedication, and knowledge! Are you ready for it? Are you a student, working professional or homemaker? Everyone gets an opportunity to work. 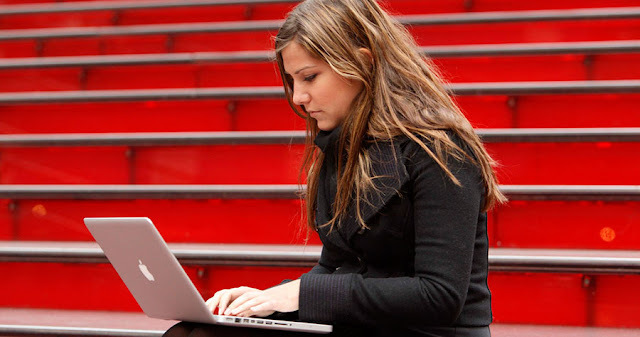 Here are the most famous and popular websites that will help you to find a part-time job! Upwork, popularly known as oDesk, has been providing such work for full time and part time workers for many years. It also offers you with hourly or periodic work. Amidst all the tiresome targets, hectic workload and the difficult to achieve targets, everybody would like to take a day off just to go on a tour or just sit back home and relax. Convincing the HR or the Team manager to grant you a holiday takes great skill and wit. 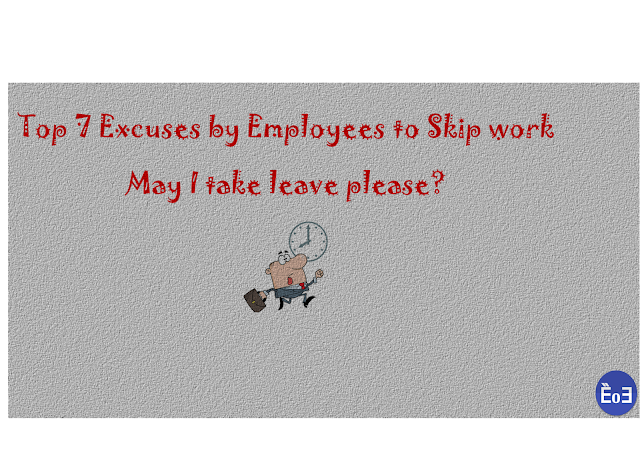 Here are some excuses that are proposed often to escape work for a day or two. 1.Gracious Grandmothers Grandmothers have been graciously providing day off’s since the beginning of industrialization. By default death of grandmothers, irrespective of whether dead or alive has been put forth as an excuse. “Sir, my Grandmother has passed away unexpectedly”. Some workers don’t mind even hosting cremation ceremonies for them time and again literally killing them in periodic intervals. A healthy and nutritious breakfast gives you the energy to work the whole day with enthusiasm and strength. So, don’t you think the first meal should be healthy enough to give your complete family to stay strong and active the whole day? Here is the Jowar tomato Chila a nutritious recipe which is rich in proteins and Vitamin A. This dish is low in carbohydrates so it is easy to digest. Chila is the Indian name for pancakes. So, here is a quick recipe to make the healthy dish! How “WORK FROM HOME” helps you to continue your career? Especially after your marriage? Marriage is an important phase in everyone’s life. But, it is always the women who are under the question of continuing her passionate career after her marriage. Not every woman is lucky to continue her career after marriage. Women are ready to accept the changes in her life. They are ready to keep their career aside and focus on their family! However, for all passionate women, who wants to shine like a star even from home, the WORK-FROM-HOME option is a boon. The priorities of a woman change after her wedding. The family takes the top priority, relatives and relationships, household chores and finally comes her passion and career (Though this is not applicable for all women, the majority belongs to this category)! Woman spend her time taking care of the family, nursing her kids and her day ends with this same routine.